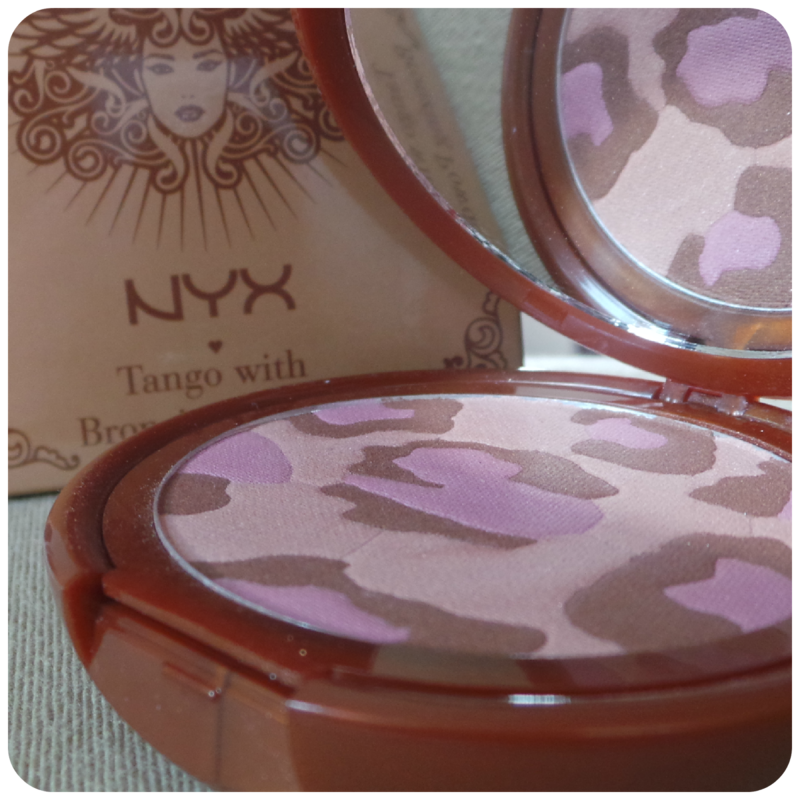 NYX 'When Leopard Gets a Tan' is the first piece of NYX make up in my collection. I find we are limited in what we have access to here in Aberdeen and have never seen NYX in shops - unfortunately. 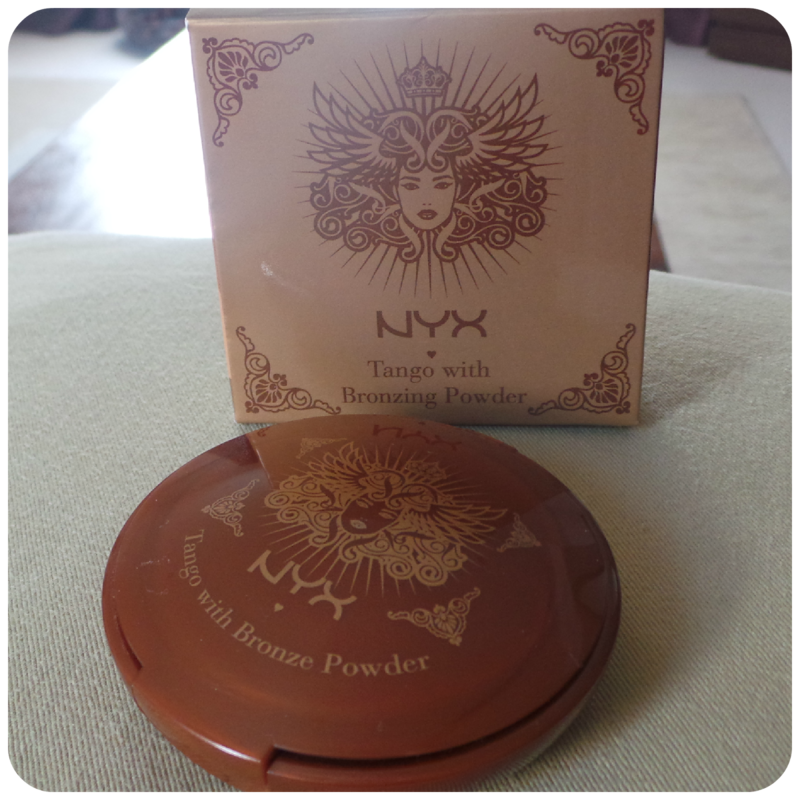 When I was contacted to review something from 123hairandbeauty.co.uk, I was delighted to choose an item from their NYX range. A well proportioned bronze compact with good sized mirror and hidden compartment which is home to a little blusher brush to complete the set. I like the bold motif on the front, extremely feminine - a nice chic design. 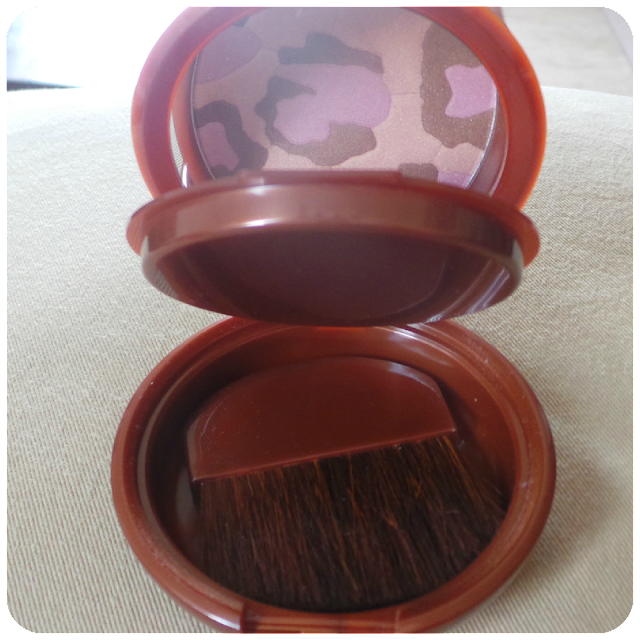 I prefer to use my own blusher brushes because I like them best for application but I would use the brush that came with this to sweep any excess dust from my face. 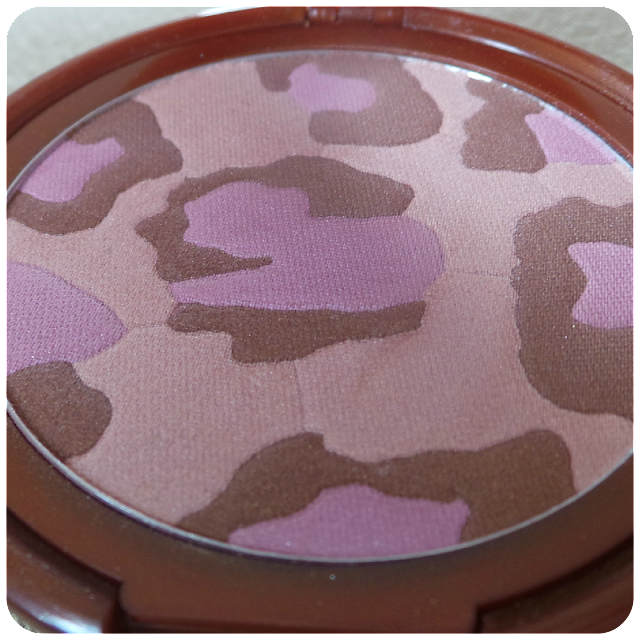 Blushers and bronzers are my favourite items in my makeup collection and having an unhealthy fetish for anything leopard print, this compact really appealed to me! NYX When Leopard Gets a Tan is made up of 3 different colours, brown, beige and a pink this combination on the skin gives a a subtle bronze and highlighted look. It is very sheer and doesn't go on too thick. 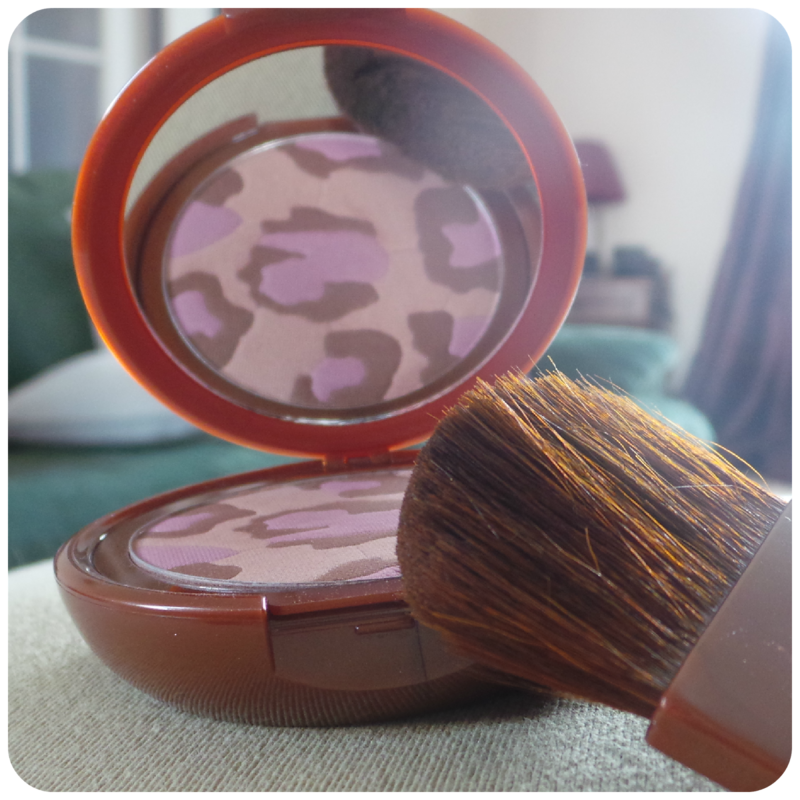 The pink can also be used to highlight your cheekbones and under the brow bone without using the bronzer - if so desired. The only real difference between When Leopard Gets a Tan and Pink Leopard (besides the price tag) is that I find Pink Leopard had more of a glitter/shimmer content to it and if this is something that puts you off a product then the NYX version is definitely a better choice (unlike the Pink Leopard, it has a subtle hint of shimmer but it is definitely has a more matte finish). I prefer this as I don't like products that contain too much shine. 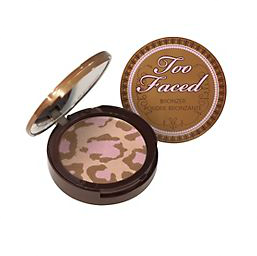 I mentioned before the price, compared to the Too Faced Pink Leopard which retails at £22.00, NYX When Leopard Gets a Tan comes in at a more affordable £10.00. You can order this here from 123.hairandbeauty.co.uk. I noticed when browsing, new customers are entitled to discount - if you quote the promotional code at checkout 'NEW10' you will get a further 5%, got to love a bargain. Really looking forward to trying more from NYX was a great item to sample. AAAH! I so want to try this product! Being Scottish myself, I've been blessed with the ginger jean... Only not hairwise, skinwise. 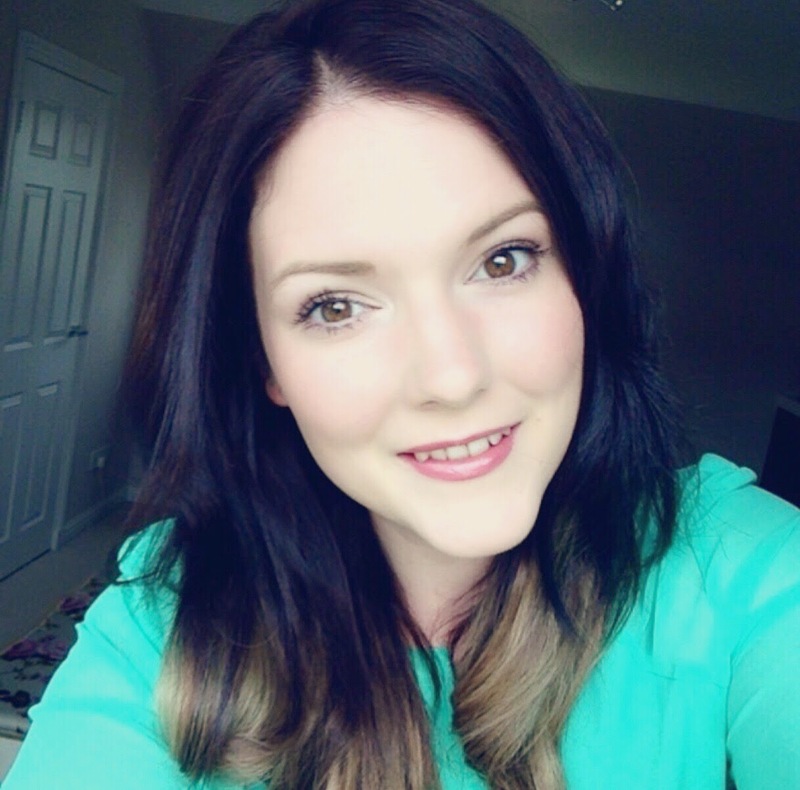 I have very pale skin so I'm a bit of a fake tan fan and bronzer is my next best friend. 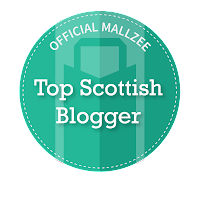 I really enjoyed this post and have recently just followed your blog! 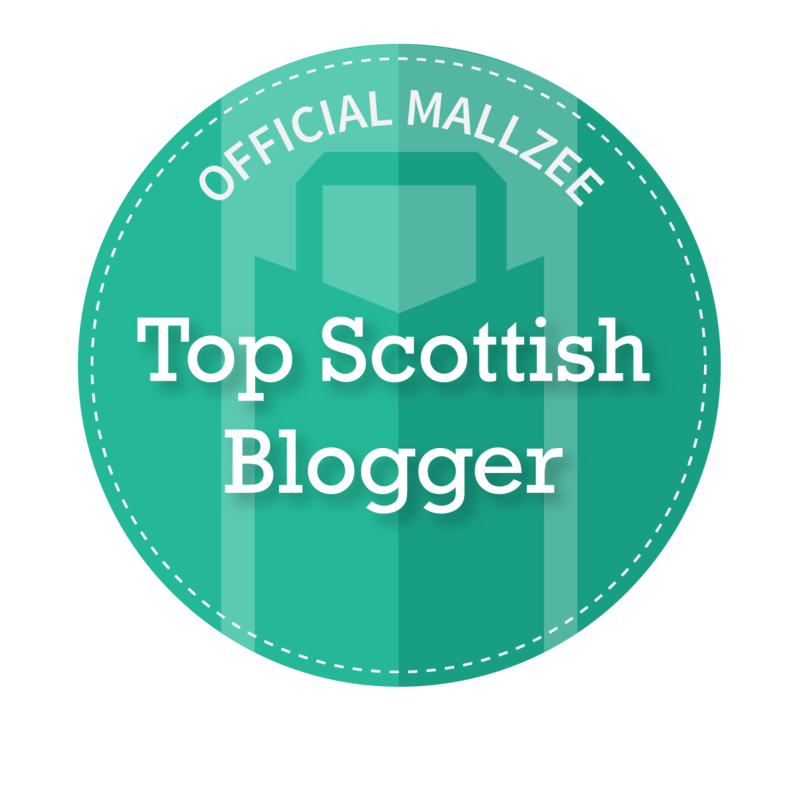 I'm sure I will be an avid reader of your blog. Keep up the good work! Me too Gemma I have a pretty unhealthy for Leopard print hehe love it.